Velveeta easy mac cups $.68 each -$1/2= $.36 cents! coupon from 8-09-09 insert or it will be B1G1 =$.68 for 2. 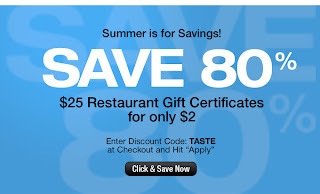 Thomas Bagels $1.98 -$1=$.98 coupon is a home mailer coupon, came from company. Fridays is double swag buck points. You can win 1-500 Swag Bucks just for searching the Internet!If you haven't already joined go ahead a sign up today and get your search on...You can join by clicking the link bellow. 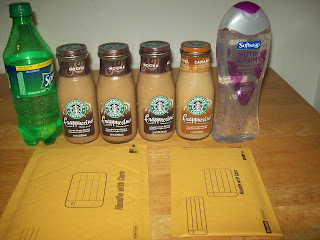 Swag bucks is an online portal dedicated to helping you earn digital dollars called "Swag Bucks", which can be redeemed for exclusive swag bucks.com merchandise. Search the web using http://swagbucks.com/ and receive results from Google & Ask.com.Swag Bucks are periodically awarded as you search the web.Redeem your swag bucks at the swag bucks store for exclusive offers. 7/26 and 8/2 inserts both have a 1.00/1 Any Shout Laundry Product. In the trial size section the "Wipe and Go" 4 count shout wipes are $1.02, so only 2 cents each, and best of all NO BEEPS!! Hefty One Zip qt size storage bags 22 ct box, (marked bonus 10% more bags) on a price cut for $1.02 with 20 cent off peelie on the package. Some Healthy Choice frozen meals are $2.14.-$2.50 IP and $.50 Target Q= FREE and overage. If your store prints out the $1/2 Market Pantry q's, you can pick up 3 boxes of MP Mac N Cheese for FREE. YMMV on this one, i have seen them on clearance at my store so check yours too. Also there have been other flavors as well. 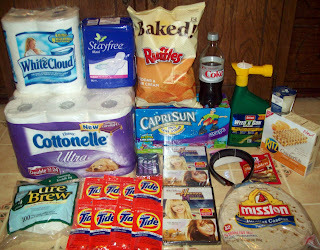 Free Bounce Dryer Bar Or Cheap Depends on coupons you have. 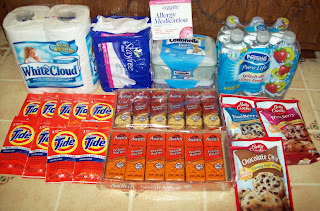 - The $1.50 Target Bounce Dryer Bar coupon in this past Sunday's insert. 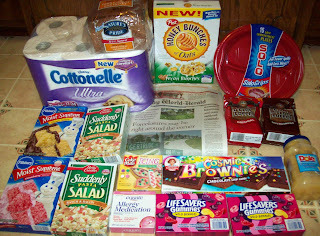 Combine w/ FREE Sara Lee Soft & Smooth Bread wyb 2 Hillshire Farm Meat. Do you have an old carseat and do not know what to do w/ it ? Add cash for cribs to the stack of programs modeled after the government's car swap program. Toys "R" Us is offering customers the chance to trade-in used cribs, car seats and other children's items in exchange for a store discount. The three-week program begins Friday and ends Sept. 20. 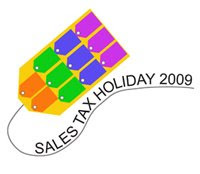 Customers will receive a 20% discount on selected items and there is no limit to the number of products to be turned in. "The Great Trade-In" event was spurred by a lukewarm response to numerous high-profile recalls on baby products, the Los Angeles Times reports. Even though bargains abound for second-hand cribs, strollers and high chairs, the toy giant cautioned that evolving safety standards, missed safety recalls and the inability to know a product's true history can be a serious hazard for children. "When a grandmother pulls an old crib out of the garage, when a mom puts her child's car seat for sale online ... these transactions can potentially pass on a dangerous product," the director of public affairs for the U.S. Consumer Product Safety Commission told the San Francisco Chronicle. The toy giant is limiting the program to its U.S. stores but may offer Canadian customers the same deal depending its success, according to Canwest News Service. What Coupons Will Be In 8/30 Newspaper ? Here's the list, and THANK YOU Taylortown. So if you have known me for a while you will remember the deal i got about 8 months ago at CVS. 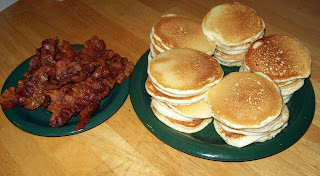 Remeber i bought my electric griddle for $.12 cents!! Yep you read right. Anyhow, i thought i would just post about it since i think about that great trip every time i use it. It's been a crumby week, i didn't feel like cooking a lot and i felt no so good. So now i feel better and will start cooking better meals. It wasn't a very good week for me, boo. From Scooters Valid on AUGUST 26th ONLY! Click the title to take you to the offer. I thought i should post a link for where you can take your kids to eat for FREE or Discounted. Denny’s Kids (10 and under) eat free on Tuesdays from 4-10 pm. Lone Star steakhouse- free kids meals on Tuesdays. Burger King Kids Club is for children ages 4-12 to get a free kids meal. Sign up at www.burgerking.com or get a mail-in postcard from the restaurant. The Melting Pot has a kids eat free deal on Tuesdays from 5 p.m. to 7 p.m. and Sundays from 11 a.m. to 4:45 pm. Kids 12 and under eat free with the purchase of any combo entree for two. One child per paying adult. Applebee's deal is $.99 cent kid meals on Wednesdays. At some locations it's all day, at other locations it may only be valid after 3 p.m. Check with your local manager. The offer is for kids 12 and under . Kids eat free at Perkins Restaurants on Tuesdays and Saturdays from 4 p.m to 10 p.m. The offer is for kids 12 and under and it's one free child's meal for each adult meal purchased. Golden Corral kids 3 and under eat free each day. I would recommend checking with the restaurant before you head out just to make sure nothing has changed! Do you need some baking ideas or inspiration ? If so check out Bakerella. Her website is just awesome!!! I want to bake everything on there, lol. I will defiantly be copycating her recipes, but no worries i will always give credit to you, lol. You can click the title to go to her site. Walmart has some nice coupons lined up for us. Just click the title above to take you there. AC Nielsen is the world’s largest market research company and this is the world’s best survey offer! Make your opinions count as a member of the Homescan Consumer Panel. Earn valuable gift points, which are redeemable for electronics, household items, jewelry, toys and more. Making a note that I got a $5 rebate today in the mail. It came from the Bedtimestories /Ortega Deal. I knew HyVee did that for baby bucks but i was not aware they did it for pet care purchases. 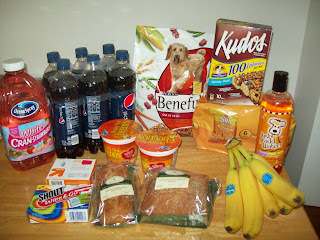 I went to buy some dog food the other day because we were completly out. I bought Beneful big bag for $9.99 -$2 coupon =$7.99 and i got $9.99 in pet care bucks. You have to save them to $150.00 to get a $10 gift card. I was thinking what a great way for me to use the Mighty Dog coupons. 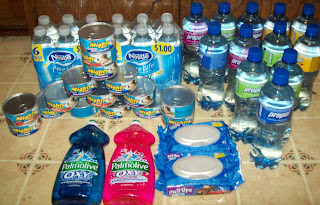 Free mighty dog and get credit for each can bought, whoo hoo!! I'll give it a try next time i am at HyVee. So sorry it is late this week. Been busy w/ 2 birthdays and school starting. 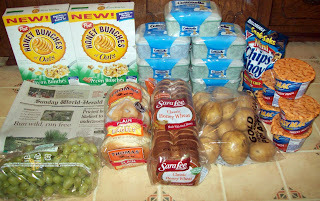 Sara lee Bread $1.68 If soft & smooth is included there are tearpad coupons out for FREE sara lee mini bagels wyb sara lee soft and smooth bread. Weber seasoning packets $.58 -$.50/1 insert = $.08 each. Dole fruit (frozen pineapple and frozen mango) on roll back for $1.00, there are $.75 printable's making them only .25!! Well, not really but it just means i am starting to get older is all. Ha ha. 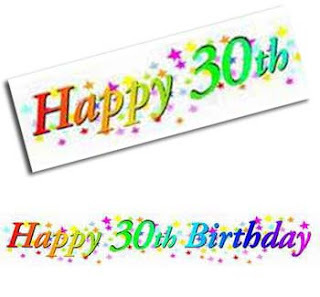 I turn 30 today, lol. I got my order that i placed. They sent me a $20 gift card in email and i used it well, lol. I ordered 1 dozen of Chocolate Chip Macadamia Nut Cookies. 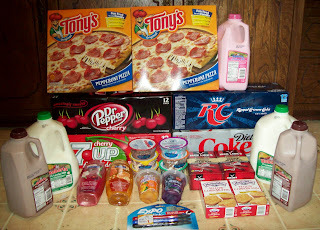 -$20 E gift card =$3.98 !! 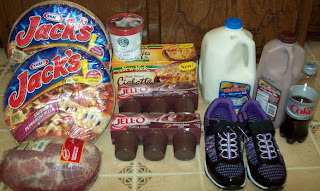 I had to run out to look for some b-day items and ended up buying some things. Ok, my followers have been MIA, lol. If you look you will see it says followers but does not show any. I currently have 14 followers. Anyone know how to get my followers to show back on here ? Thanks for your help. 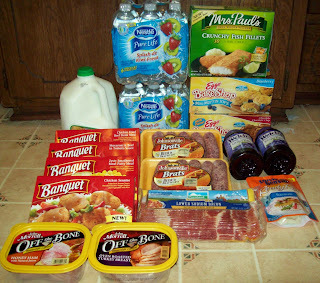 Get $75.00 worth of printable coupons and a chance to win a $1,500 in Groceries! 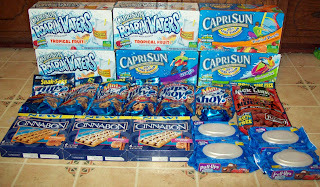 I went to Walmart like every Sunday. I spent more than i should have. 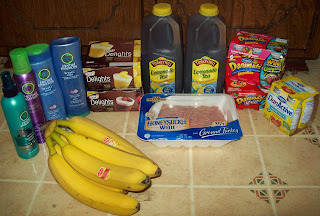 I am also deducting some items because there not for grocery items there for my daughter's birthday. I just paid for everything on 1 receipt, but i do have a seperate budget for things like this. 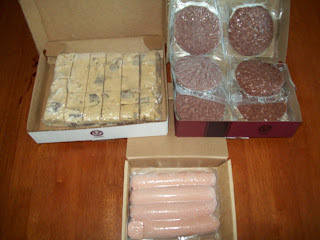 1 Bakery Cake $1.80- Which is missing from pic because we ate on the way home,lol. 1 Little Pet Shop Toy $5.64- Missing from pic, because i didn't want daughter to see it, lol. 1 Honey Bunches of Oats w/ pecans $2- Which are good! Nothing to write home about just deducting this from the budget. On Mondays you can order a large 1 topping pizza for $6.99 this can save you $6 a pizza. They have just extended this to Tuesdays as well. Posting for me this week may be kind of slow. 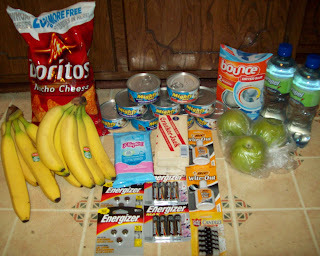 I have been trying to get things ready for back to school and this week is my daughter's b-day. Then my husband and i just hit our 10th wedding anniversary. It's hard to believe my oldest baby is going to be 9. So yes, how time does fly. This week i am trying to get all the school clothes ready, meals bought etc. I also am cleaning, organizing and prepping for the b-day. Another mention about time flying, um well i have a b-day next week as well. I'll be hitting the 30 mark. Some crazy feeling haunted me one day when i thought about it. I just had a brief panic attack and thought..... my life was 1/2 way over. Maybe i should think of it as 1/2 way accomplished?? I just wanted to give you an FYI about posts upcoming this week. Sorry it is late this week. 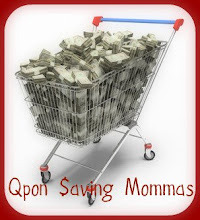 Get $75.00 worth of printable coupons and a chance to win a $1,500 Cash! Last night i went to have my hair cut, i normally just go to Master Cuts because there is 1 person there who can cut my hair decent. I have tried many many places here and no one can cut my hair to my liking. No i am not that picky. My hair is really really thick. So i went to the EQ School of Hair Design in Council Bluffs, IA. There down on Broadway. Very friendly students & instructers there. They were happy to have someone like my hair there. They cut off 6 inches and then we layered it and thinned it. I felt bad for the poor girl having to cut my hair. I was there at 6:30 and she was done at 7:30 Not the quickest so be prepared if your in a hurry. I was not and i told the girl that as well. I would much rather have someone take that long cutting my hair than to get it done in 20 min and i would hate it. It turned out pretty good. She thinned it a little too much but who cares, it's summer and it will grow back in no time. My cost was $6.99 then i tipped her. I really reccomend giving them a try. The gal i had her name was Jessie. If you click the title of this thread it will take you to there site. Take the Twilight Quiz to see who you are. Quiz Rocket is for fun personality quizzes, funny quizzes, and fun tests. Take a funny quiz or fun personality quiz and go quiz-crazy at Quiz Rocket! You can be your own boss and make your own schedule - with Avon, The Company for Women, you can have it all! I have done this for 2 years and i did make some money with it but i recently had to give it up. I just couldn't keep up w/ it and life in general. Someday i may go back. When you sign up for your first 4 campaigns you will receive 50% off your orders. It's defianlty worth it for the holiday items and if you can use makeup. Friday and Saturday August 7-8, will be Tax Free Weekend. It would be a good time to use those JC Penney coupons that came in the mail and Kohls coupons. 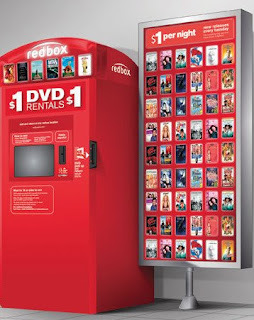 You can rent a FREE movie from Redbox today only until 12am. If they have the baseball cookies you buy two. $2.25x2=$4.50-$1=$3.50 coupon came from a tearpad and i found at No Frills. 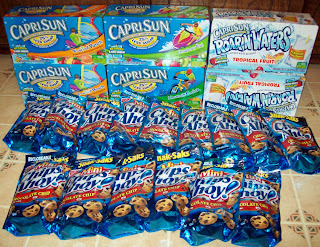 Or there is buy 2 Chips Ahoy & 3 Capri Sun =$10.50-$3/5=$7.50 That's $1.50 for each item after coupon. On August 29th from 11am-2pm you can receive a FREE lunch from Nebraska Furniture Mart. They will be serving a slice of pizza from Godfathers, with a cookie and a drink all for FREE. Offer only valid for Omaha & Kansas City locations. Get 4 bags of Boca Java Gourmet Coffee for just $9.95. I will update later with receipt. 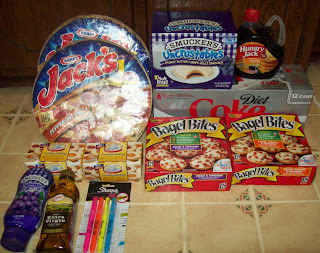 I went to Bakers just to get hair stuff and came out with a lot more. I didn't spend wisely there oh well, we live we learn. I did meet a new lady there i had not met before. These things taste great! They taste like a pudding and have alot of flavor. We will be buying more. We usually like almost everything Yoplait makes anyway, except for the whips Blah! Also the Yoplait coupon loaded to your bakers card gives you an extra $.50 cents off. 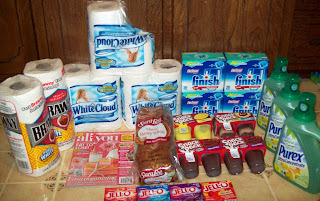 Price was $2.49 -$1 coupon that Linda the sample gal gave me =$1.49-$.50 coupon loaded to card =$.99 cents!!! I never got to post my OOP. It was $11.99 This will be deducted from my budget at the top of page. I had an Awesome shopping trip today!! No one i knew was working :0( So i went to a girl i had not went to before and she was nice. 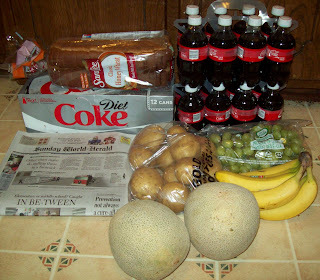 Amount i Spent was $40.59 !!! & they owe me $2.56 that they over charged me.